← Recovered from Nanowrimo yet? Two years ago, when I finally got serious about taking control of my writing career, I was searching for a way to keep track of all the must-dos floating around in my head. At that point, I had journal pages full of what I’d done that worked for me, but no way to pull all that information together in a way that could inspire me as I moved forward. I heard Laura Simms speak at a blogging meet-up in Berkeley. One of the things that really inspired me was her system of planners called Roadmap to Action. It’s a flexible downloadable series of worksheets that allow you to dump everything out of your head, sort through and prioritize it, and find a clear plan of what you need to do and what you need to do NOW. It is the best $27 I’ve ever spent. I revisit the planner every six months or so, redoing the exercises and figuring out where I am now and where I want to go next. Because I’ve downloaded it, I can just reprint the pages I need to. It’s fascinating to compare them, year by year, in my binder. 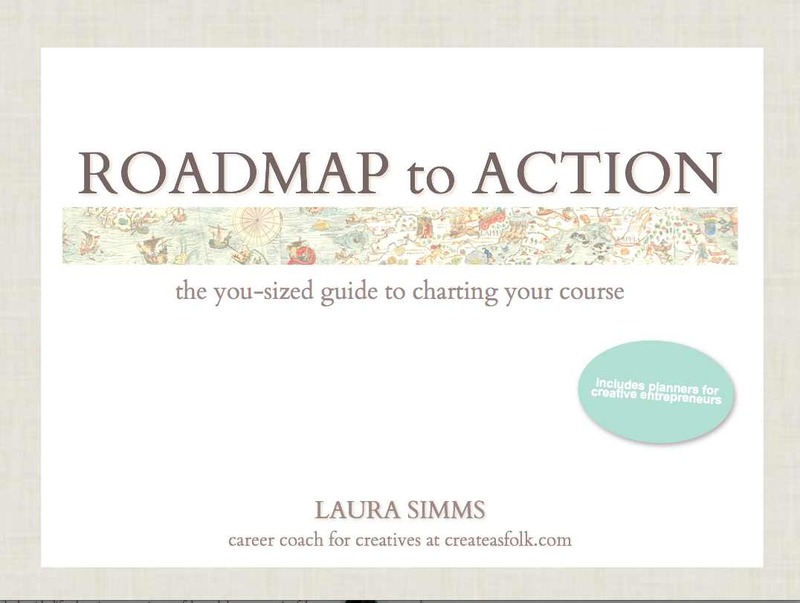 If you are a writer — or any sort of creative person — who doesn’t have a boss prioritizing your work/life and sending you from project to project, you should check out the Roadmap to Action. It’s very pastel and the language is sometimes precious, but it’s easy enough to look past that and focus on YOU and what you NEED TO DO. Disclosure: I am not a rep for Create as Folk and get no kickback for recommending this. I simply adore it. Let me know how it works for you. This entry was posted in Writing advice and tagged Create as Folk, office procedures, Roadmap to Action, to-do lists, writing tools. Bookmark the permalink.